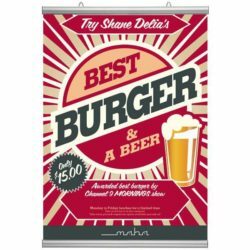 Packing Size: 2.36" x 24.80" x 1.77"
Are you looking for a poster holder to display your banners tightly? The solution is here. The Top Snap Rail of this poster hanger includes 2 clear adjustable plastic eyelet clips and slide to fit your presentation needs. Bottom Snap Rail holds your graphics flat and stretched. 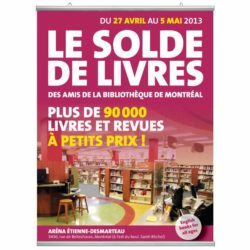 Our poster display kit is a value-for-money, re-usable hanging poster system as it is sold at a one-time price. 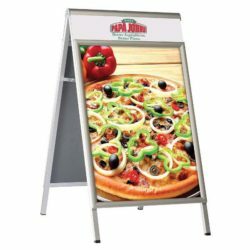 This poster display provides you the advantage of spring-loaded mechanism inside the snap frame itself. Black rubber holds your poster in place once the rail is snapped shut. 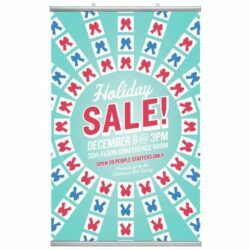 These poster displays also known as banner rails hold 22″ wide paper, vinyl banner media, any type of card stock posters or banners. 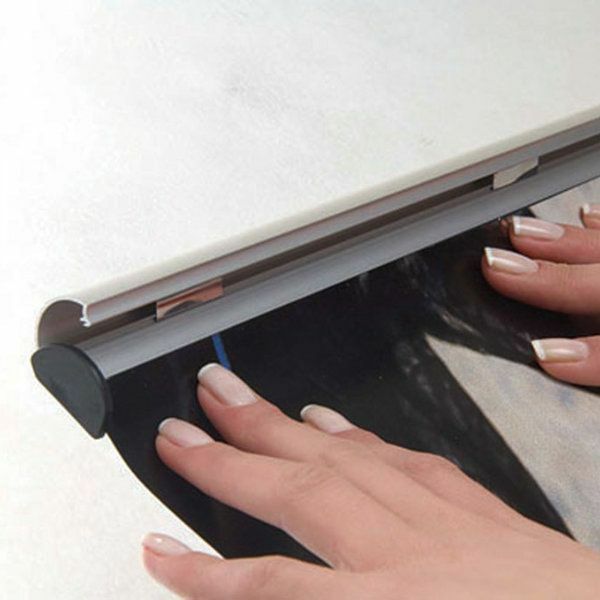 The length of the poster that you will use with this poster hanger is up to you! 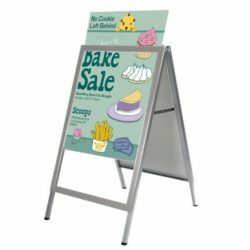 Aluminum poster rails are great as store window signs and at the same time fit for poster displays needs of restaurants, schools, markets, gas stations, shops, banks, public areas to post various messages, deals, notices, sales or menus. 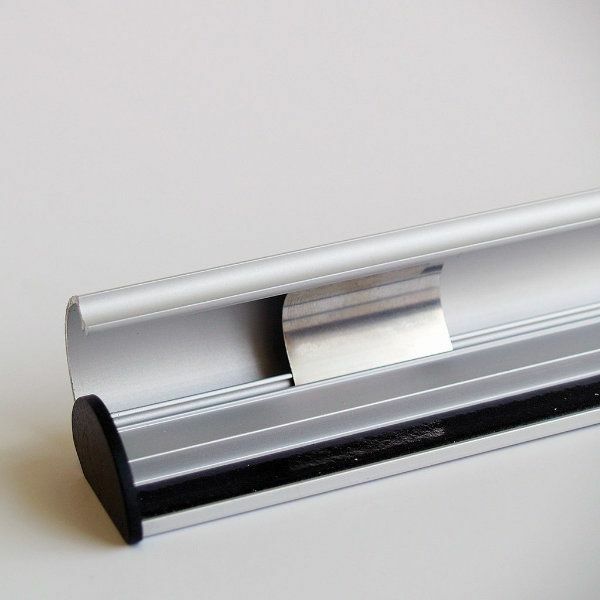 They fit in different business environments and appropriate for all industries where there is traffic in open to public spaces such as nail shops and pharmacies. Window picture hanger displays the graphics to a large audience inside and outside of the shops. Simple usage, effective presentation, great look at an affordable price! Further ON SALE now! 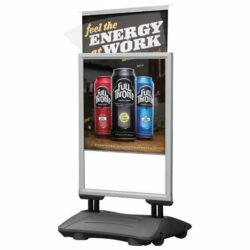 don’t miss out and order a poster display kit right away at your size preferences among our variety of sizes and styles presented on our online catalog. One of our poster hangers or sign hangers would be perfect solution for your marketing and advertising requirements. It’s great! I ordered this for a weird size print that I couldn’t find a frame for. I really like the look of it and seems to be well made.